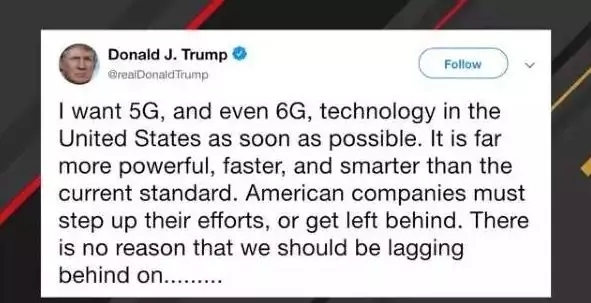 Donald, I’ll give you a million dollars if you can tell me what 5G and 6G even are. Or even what 4G is. Or what 4 plus 4 is. Why stop at 6G? Like someone else said, we need 10G right NOW. Even 20G!! But let’s get even stronger, even better, and even faster. Trump, we need 100G networks in the USA now!!! !